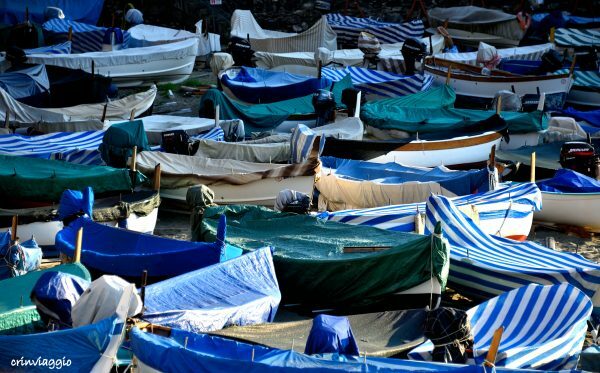 Levanto to me means sea, good food and a stunning nature to discover. I daresay it’s not a bad introduction. Each centimeter of the Italian Riviera is breathtaking, and I gladly come back to Levanto every time I can. You know the smell of salty air? Well, in my hometown it’s sorely missing and I therefore came back to Levanto, because you always come back wherever you feel at home. I came by train, longing to see the sea through my window, those sparkles you can’t resist. I think that living in a sea town is healing, but because I don’t have an opportunity to do so, I travel there as soon as I can. I spent a few days on the beach with my son, who wanted to discover, to explore, to dip into an unknown sea. 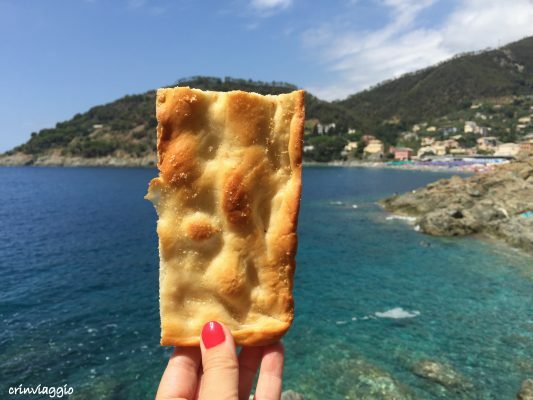 A piece of focaccia in our backpacks and longing for outdoor experiences, that’s what guided us in the two days we spent in the beautiful and colorful Levanto. 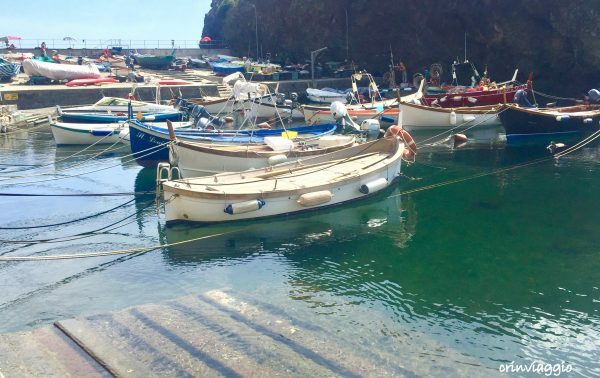 We stopped in Bonassola and, among the rocks on the beach, we had a lunch with a view that would make any city dweller extremely jealous; then we continued, happily cycling towards Framura and its small pier, the boats rocking gently and the people ready to enjoy the sun. A bite of a fresh peach, while your feet struggle to find a stable rock to land on to, then deciding to leave the bikes and climbing towards Anzo, through the narrow staircase and the beautiful views it offers. Anzo is a small hamlet surrounded by pine trees, its houses were once proud and now full of a secret charm. Bouganville bushes managed to resist the salty air and the wind, perched on old stone walls, and walking through the narrow streets is like jumping back into the past. We rode our bikes back: it’s always nice to be back in Levanto, when the sun starts to set, decorating the town with warm colours; a lone surfer, a child playing around, a girl reading a book. Memories are still lifelike even during these rainy autumn days: the lemon and basil icecream, the trofie al pesto, the real pesto, made with love and unique ingredients, the queue at the bakery to buy some focaccia, the wind between my hair and the smile of my son, who can never get enough of the sea!